My dogs love toys. Jeffie loves to carry them around with him. Rudy and Rosie like to play in a big way! I'm too embarrassed to count them, but I will tell you that we have two huge baskets full of dog toys. 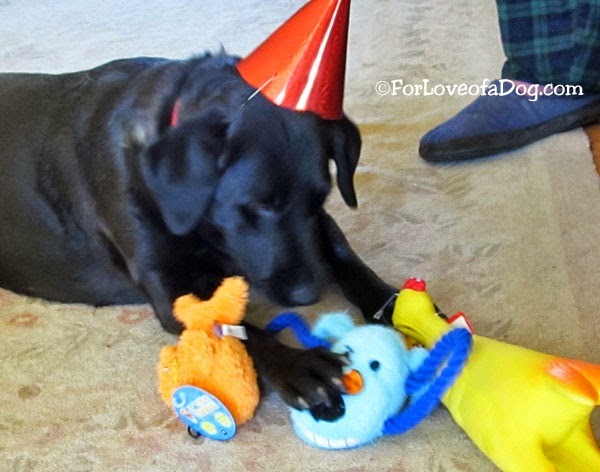 Not a holiday or dog birthday goes by that we don't celebrate with new dog toys at our house. Here are just a few of our favorites. Be the best Santa Paws ever with these products under the tree for your dog! 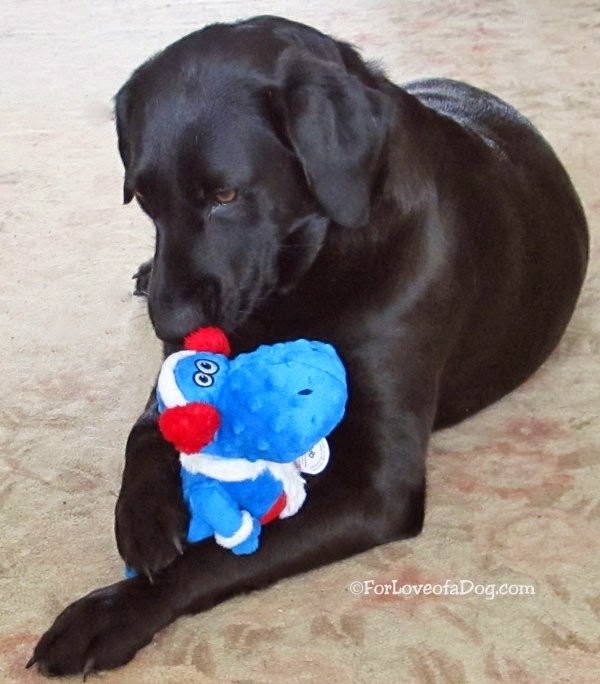 The good folks at Quaker Pet Group recently sent us one of their brand new goDog T-Rex dog toys. It's from their new Holiday Collection and it is adorable! Not only cute, it's built tough for fun and features their Chew Guard Technology. Double stitched seams are tougher and last longer than standard plus toys, too, and they guarantee it. If you'd told me that this would be one of Rosie's favorite dog toys, I'm not sure I'd have believed you. However, the queen of the plush toys LOVES the blue Toppl™ we won in a giveaway at Go Pet Friendly. 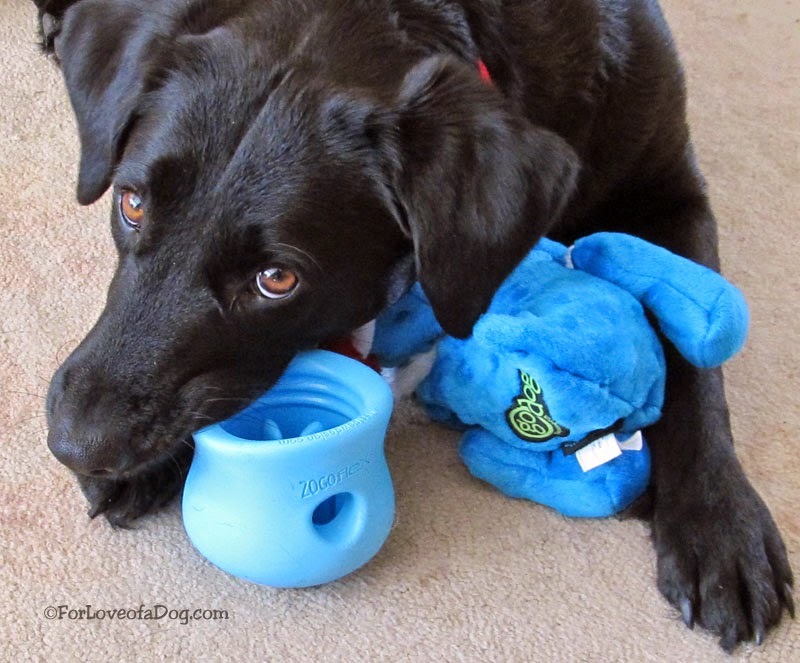 Rosie loves her West Paws Designs Topple and her goDog T-Rex dog toys! I suspect most think of dog food and treats when they think of Chewy It's true, they're one of the leading companies in providing home delivery of those products. 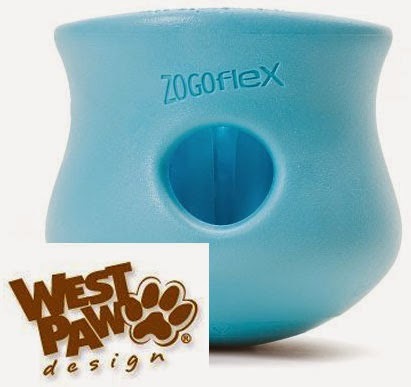 However, they have an ever expanding selection of pet supplements, supplies, and... TOYS! 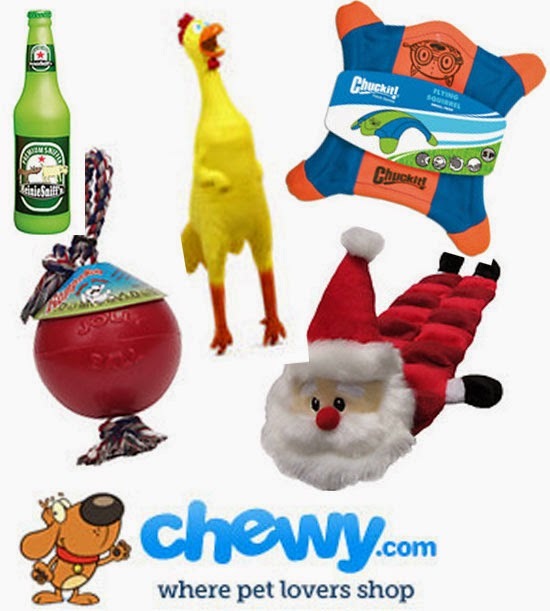 Chewy.com is my go-to resource for high quality dog toys and you can see some of those at the left. I want to be clear about this: those really are our toys (that we purchased from Chewy.com. Shopping this year for my dogs has been easy peasy. 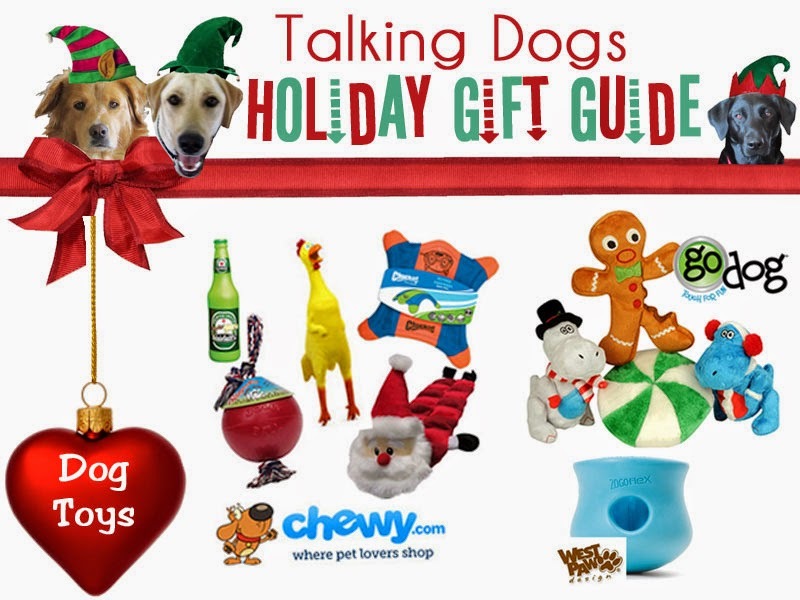 So much so that I'll be Christmas shopping for dog toys (and treats) at Chewy, too. Retails prices vary, but Chewy almost always has a lower price than anywhere else I've found. Add in the customer reviews, frequent sales and the fast free home delivery on orders of $49.99 and you'll love Chewy, too! 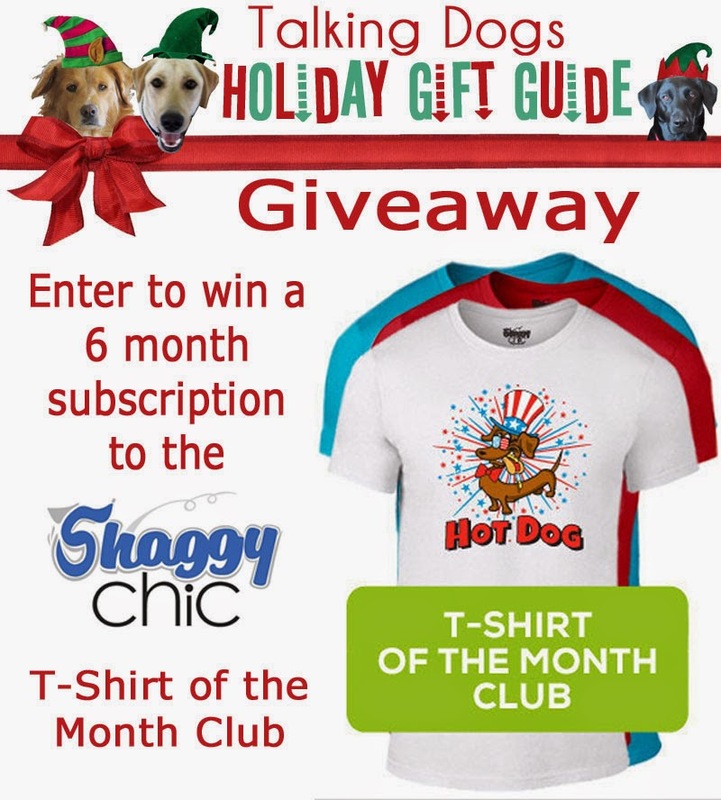 Be sure to enter our Holiday Gift Guide Giveaway! 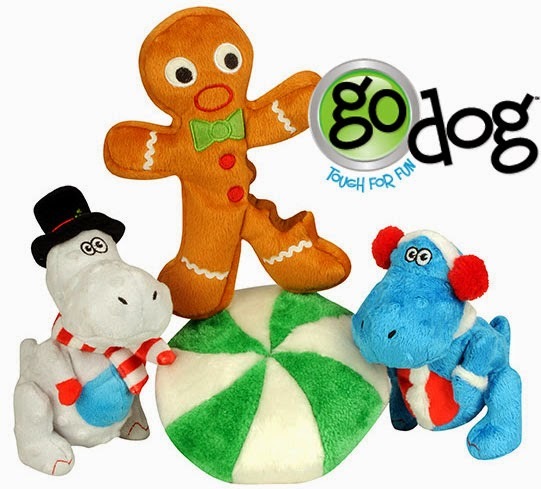 * Talking Dogs received one goDog Holiday T-Rex dog toy for our honest review. We purchased other products mentioned here and we only share information we feel is relevant to our readers. Rosie got a rubber chicken, how cool is that!